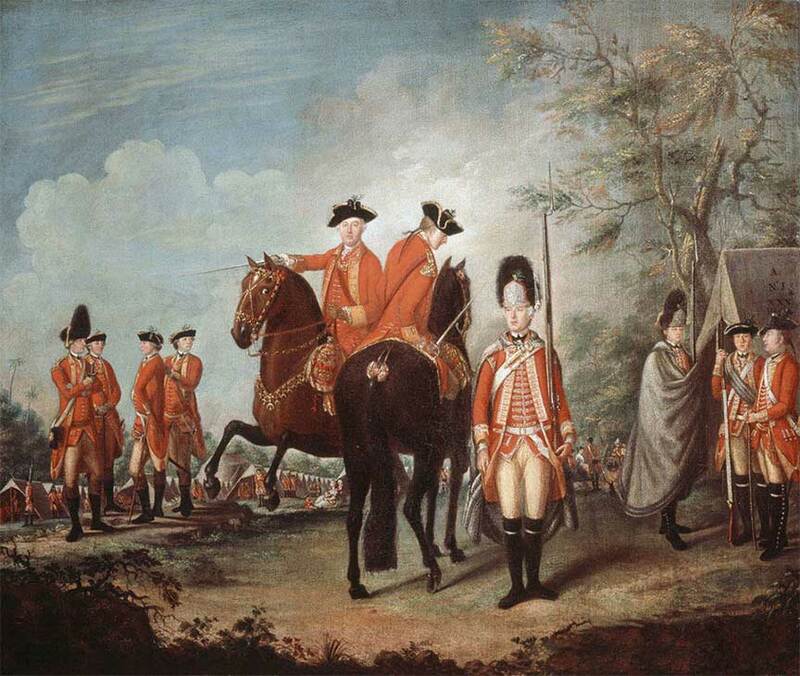 British Army Foraging Policy in the South, 1780-1781 - Paoli Battlefield Preservation Fund Inc. Many British soldiers charged with suppressing the American Revolution embarked on their mission animated by anger. They expressed their fury most frequently through indiscriminate looting. Marauding undermined the discipline of the king’s troops and their commanders’ strategy by making enemies out of American moderates who had not yet rebelled, alienating Loyalists, and renewing Rebel resolve to continue fighting. In either 1778 or 1779, General Sir Henry Clinton, the British commander-in-chief in North America, commissioned two aides-de-camp, Major Patrick Ferguson and Captain John André, to formulate independent plans to enable British armies to operate in the interior without alienating hearts and minds. This lecture explores how Clinton, Lieutenant General Lord Charles Cornwallis, and other British commanders attempted to implement the André/Ferguson plan in the American South in 1780 and 1781. The all inclusive admission price is $49 per person which includes the 18th century American Fare Buffet, all soft beverages and coffee, family style sweets during the question and answer session, all tax and gratuities, the lecture, and a donation to help support the Paoli Battlefield Historical Park. Your admission also includes a raffle ticket for a chance to win a night’s stay at the General Warren Inne. There will be one winner drawn at each lecture. Gregory J. W. Urwin is a professor of history at Temple University and a recent president of the Society for Military History. He earned his Ph.D. at the University of Notre Dame in 1984, and taught at Saint Mary of the Plains College in Dodge City, Kansas, and the University of Central Arkansas before arriving at Temple in 1999. Urwin has written or edited nine books, including Custer Victorious: The Civil War Battles of General George Armstrong Custer, The United States Cavalry: An Illustrated History, The United States Infantry: An Illustrated History, 1775-1918, Facing Fearful Odds: The Siege of Wake Island, Black Flag over Dixie: Racial Atrocities and Reprisals in the Civil War, and Victory in Defeat: The Wake Island Defenders in Captivity, 1941-1945. He has also published more than 100 articles in scholarly journals and popular historical magazines, and chapters in both scholarly and commercial essay collections. Urwin began his career writing conventional operational history, but he soon grew interested in how men experienced battle. For his two Wake Island books, he conducted oral history interviews with nearly ninety American and Japanese survivors of that campaign, while also mining more traditional archival sources. Urwin has also developed an interest in the role that race has played in American wars. His prize-winning work on Confederate racial atrocities in Civil War Arkansas led to his being branded a “Heritage Violator” by the Sons of Confederate Veterans, a badge he wears with pride. Urwin is now at work on a social history of the 1781 British invasions of Virginia tentatively titled “When Freedom Wore a Red Coat.” This project draws on a database of 1,100 Virginia slaves who sought to escape their bonds by casting their lot with the British. The new Museum of the American Revolution tapped some of Urwin’s research for its “Finding Freedom” exhibit, which has garnered so much media attention. That research has been supported by an Earhart Foundation Fellowship from the William L. Clements Library at the University of Michigan, a Tyree-Lamb Fellowship at the Society of the Cincinnati; a Mellon Research Fellowship from the Virginian Historical Society, and a Research Fellowship from the Robert H. Smith International Center for Jefferson Studies at Monticello in Charlottesville, Virginia. Urwin’s publications have won the General Wallace M. Greene, Jr., Award from the Marine Corps Heritage Foundation and the Harold L. Peterson Award from the Eastern National Park and Monuments Association. He delivered the 2004 George Bancroft Lecture at the U.S. Naval Academy and the 2014 Harmon Memorial Lecture at the U.S. Air Force Academy, and has also spoken at the U.S. Military Academy, Army History and Education Center, Army War College, National Museum of the U.S. Navy, William L. Clements Library, Anderson House, National World War II Museum, American Philosophical Society, Penn Museum, David Library of the American Revolution, and Philadelphia’s Union League. Urwin is a Fellow of the Company of Military Historians, Senior Fellow at the Foreign Policy Research Institute’s Center for the Study of America and the West, Academic Fellow of the Foundation for the Defense of Democracies, and general editor of the Campaigns and Commanders Series from University of Oklahoma Press. Urwin helped make the Civil War epic, Glory, and he has appeared in numerous documentaries, such as, Civil War Journal, Wake Island: Alamo of the Pacific, The Last Days of World War 2, Washington: The Warrior, and Cornwallis: The Hunter. Urwin and his wife live in Doylestown, Pennsylvania, not far from where George Washington crossed the Delaware River on the night of December 25-26, 1776.